Wolfgang Kirchheim was born in Bad Bergzabern, a small town in the Palatinate wine region, in 1983. Being trained in classical instrumental music during childhood and youth, he developed an inclination for improvisation and started composing with pen and paper. Eventually his interest shifted to electronic music production. 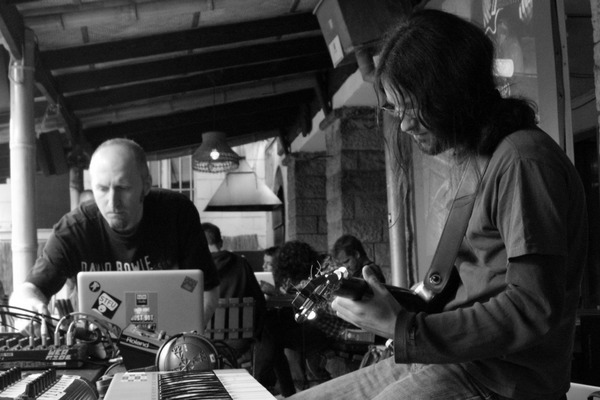 In early 2004 he co-founded Glaswald, a jam collective focussing on psychedelic free-form ambient improvisation. It would become the starting point for all further musical explorations. He began to collaborate with members of the Schoenermusic netlabel in 2005 and since then has contributed to the development of the mutual acousmatic composing style Tsunami, which deals with the decontextualization and mythologization of TV or video game samples. With or without such media content, most of Kirchheim's work has a narrative streak, providing the listener with a musical frame for imagination and reflection, thereby concentrating the mind and bringing it back to itself. Kirchheim was co-writer and editor for the experimental radio broadcast Sondersendung: Uneindeutige tonale Situationen from 2006-2011. Since 2009 he participates with his band Glaswald as musical accompanist at the annual Stummfilm-Symposium in Heidelberg. Also, good old Captain Jack performed a few of his songs with Kirchheim and his 90s cover band New Kids on the Ploeck there. In 2012, Kirchheim performed at the 10th anniversary of the Heidelberger Biennale fuer Neue Musik, LINKS. He joined forces with Noise is Silence is Noise to play live at the STFU festival for independent electronic music, Dresden. On September 11, Glaswald played live at the dOCUMENTA 13 in Kassel. He subsequently decided to become one with the Force and transcend this plane of existence.